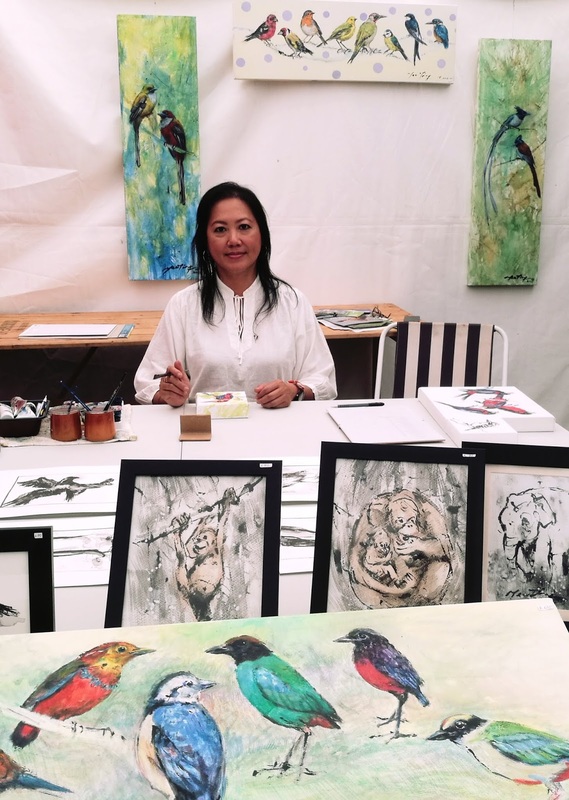 The thrill of participating in the Birdfair: Meeting old friends, making new ones, sharing my bird paintings, soaking up the atmosphere of enthusiasm in conservation efforts for wildlife and their habitats. A mural is created for Mar Chiquita National Park project in Argentina. I am honored to be part of the art team that contributed to which I painted a White Faced Ibis.